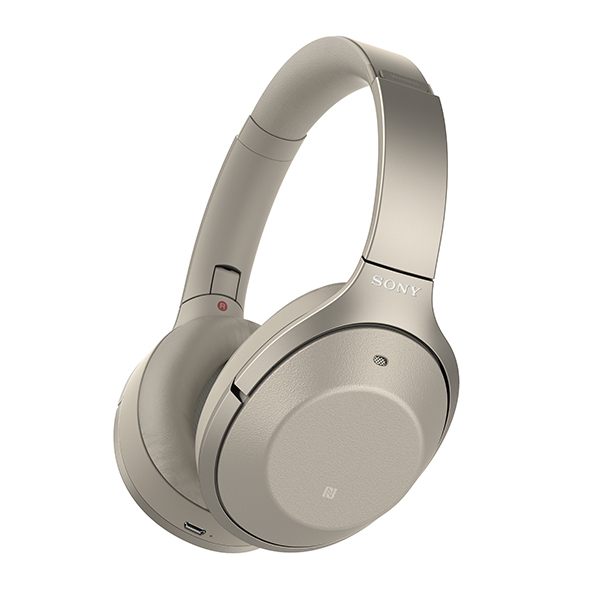 Sony makes its noise cancelling Bluetooth headphones just a tiny bit more irresistible. They say if it ain’t broke, don’t fix it. But with the WH-1000XM2, Sony went ahead and fixed it anyway. This subtle update adds new features plus some minor cosmetic changes to last year’s MDR-1000X, a phenomenally good pair of wireless headphones, and thankfully hasn’t broken anything in the process. There’s no shortage of noise-cancelling cans out there, but the WH-1000XM2 silence with the best. Not only is the noise cancellation eerily effective, they sound sublime. They deliver bass that’s never laborious, and have a crisp detailed edge that finds clarity in most every musical genre. There’s no appreciable performance bump over the original model, but that’s hardly a demerit. The sound is dynamic and musical, while a move to Bluetooth aptX HD means you can now stream 24bit/48kHz. Design wise, the WH-1000XM2 are clean, uncluttered and immediately recognisable. The headband is light, the synthetic leather ear pads comfortable. If anything, they feel a little more robust than the original model, which adds confidence when you manhandle them during the daily commute. Pairing is a doddle, and there’s NFC in the left earcup. 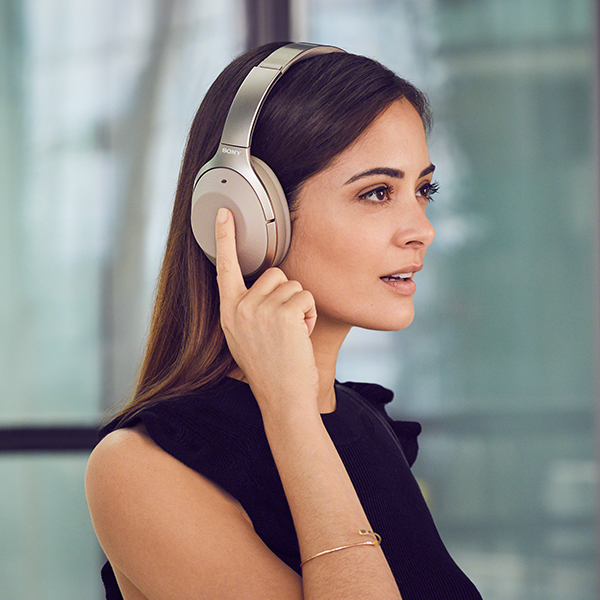 To make everyday control a little more intuitive, ambient sound adjustment and noise cancelling are now accessed on one button. 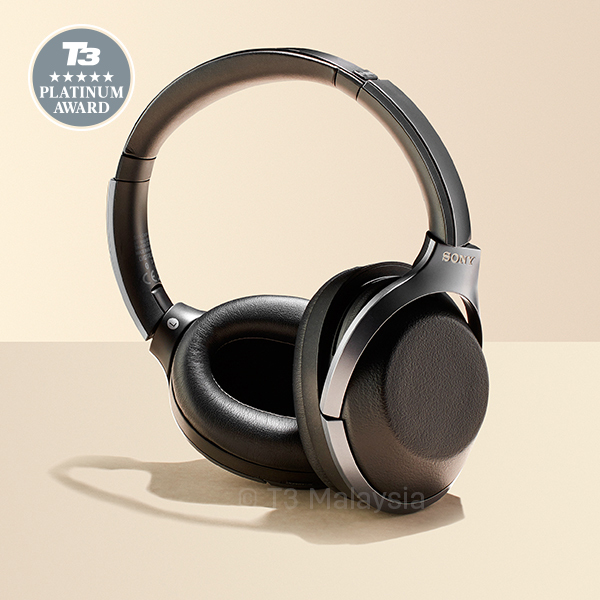 The touchpad built into the right earcup is used to change tracks or adjust volume. Sony’s Quick Attention mode, which allows you to lower volume without having to remove your cans, is back and unchanged. Just cover the earcup to knock back your tunes. This is useful if you want to order a flat white at your local coffee shop without taking them off. The Optimizer has also been tweaked, and now includes a sensor in the left earcup – this optimises the headphones for in-flight cabin pressure. For additional functionality, you’ll need to install the Sony headphone app. This offers a Virtual Positioning feature, which is a bit odd, and Virtual Surround modes (Arena, Club, Outdoor stage and Concert hall), which you might traditionally expect to find on a noughties AV receiver. Standard microUSB keeps charging familiar. Battery life is rated at 30 hours if you’re wireless and 40 if you’re wired. A quick charge feature allows you to zap some life in when you forget to charge them before going out. 10 minutes will reward you with an hour or so play time.